Maybe the Tea Party really is a party of Hobbits. All Quests are concerned with some numinous Object, the Waters of Life, the Grail, buried treasure etc. ; normally this is a good Object which it is the Hero's task to find or to rescue from the Enemy, but the Ring of Mr. Tolkien's story was made by the Enemy and is so dangerous that even the good cannot use it without being corrupted. In the Lord of the Rings, many were corrupted by the ring. Likewise, many who've gone to Washington DC vowing to fight debt and deficits have come to embrace the corrupt influence of what they once sought to abolish. Perhaps Senator McCain is right to compare Tea Party fiscal conservatives to Hobbits. In Tolkien's books, the hero was a Hobbit. My question is, can today's Tea Party Hobbits remain as true in their struggle as Frodo was in Tolkien's series? 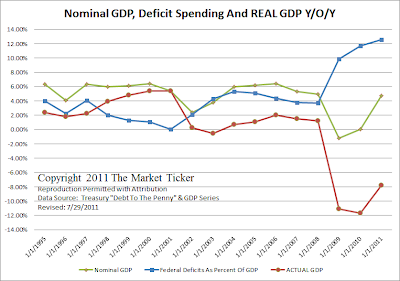 More debt and manipulated data convinced a lot of people we had an economic recovery. But time has a way of revealing the truth. Karl Denninger gives his take here. Last summer on a trip to Cincinnati, we found about two in five restaurants we visited served sweet tea. When we went back this week, every place we ate now served it. I couldn't resist pulling over and snapping a photo of this Burger King sign on Route 4 in Fairfield. A Texas Congressman says quick action by a local gun dealer may have preempted a plot against Fort Hood. Carter's full release is available here. Brian Williams opened NBC Nightly News on Monday stating as fact that "any rational person" favors a boost in the national debt ceiling. It's just another confirmation many in big media are mouthpieces for big government. We now exist in an era of crisis induced government. No one's working on a real solutions. Those holding office are coming up with plans that merely deliver elements of one agenda or another while assuring there's another crisis down the road to give them another opportunity to extract more from us later. No one has yet to pitch a plan that actually shrinks the federal debt. The plans pitched so far only slow the rate at which it will grow. And that's only if Congress in the future abides by whatever plan is passed. 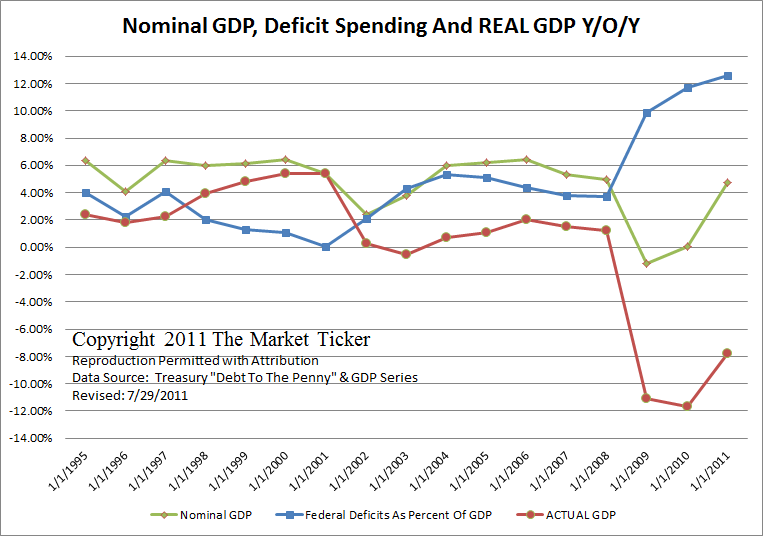 The bottom line: Congress still doesn't have the will to face up to fiscal reality. It's merely rearranging a few deck chairs. We're not getting a fix. We're getting a Band-Aid to get us through (or at least closer to) the 2012 November elections. Meanwhile, I'm just back from a short road trip to Cincinnati. I'll share some observations about what I saw: Things like more retail and industrial space appears to be vacant than last year, and thrift stores appear to be a hit with shoppers as families prep for back to school. I'll expand on some of this tonight as well. Join us tonight at 8:00pm EDT as we walk about these and other topics. 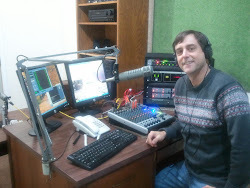 You can hear us by clicking here, or going to the main show site at TalkSouthRadio.com and clicking on the Listen Live icon. Join the conversation if you can. The call in number is 678-344-9926. Until tonight's show, last week's Don and Doug remains in replay. Simple, humorous ad that makes serious points. From: Concerned Women for America Legislative Action Committee (CWALAC) via YouTube.com. Welcome to the fundamentally reshaped America. It's a land where bloated government agencies now actively engage in partisan politics, and use threats to make demands of Congress. The U.S. Department of Transportation provides an example of such an out of control agency. The DOT went on a written rant Thursday against the Republican-controlled House of Representatives. Tomorrow night, the FAA reauthorization bill is set to expire. And without swift action from Congress to pass an extension, the Federal Aviation Administration will be unable to move forward on important airport construction projects and thousands of FAA employees across the country will be immediately furloughed. Congress needs to do its work. If they can’t pass a bill, new construction projects won’t begin. And construction workers will suffer. Congress has already passed twenty short-term extensions to the FAA's reauthorization--putting a burden on our employees and creating enormous uncertainty for states and airports across the country. This is no way to run the best aviation system in the world. Now, unacceptable provisions in the House of Representative's version of the bill are holding up passage of another extension. If Congress can't reach an agreement by midnight tomorrow night, the Airport Improvement Program, which provides construction grants to airports, will be shut down and unable to provide roughly $2.5 billion for airport projects in all 50 states. Additionally, up to 4,000 FAA employees in 35 states, the District of Columbia and Puerto Rico will be furloughed and forced to go without pay if Congress fails to pass an extension. While air traffic control would continue, large numbers of employees in New Jersey, New York, California, Georgia, Oklahoma, Texas, Washington, Illinois, and D.C. will be affected. This includes many of FAA’s engineers, scientists, research analysts, administrative assistants, computer specialists, program managers and analysts, environmental protection specialists, and community planners. We need our employees at work, and states and airports need to be able to work on construction projects. If Congress cannot resolve its differences, FAA programs and thousands of public and private sector jobs will be in jeopardy. Congress must pass an extension of the FAA bill now. The arrogance displayed here is over the top. And it appears specifically pointed at Republican House leadership at a time when House, Senate and White House teams are attempting to negotiate a deal on much larger federal debt and budget issues. Transportation Secretary Ray LaHood is, or supposedly is, a Republican. He was when he served in Congress. You'd think he'd know the House is accountable to the people. The DOT position is more specific and is tied to an immediate funding issue, but it comes across with the same ring as President Obama's recent warning (threat) that social security checks may not go out unless a larger spending deal is made, and the nation's debt ceiling is raised. So I must ask: Did the DOT alone decide to go forward with its public, ranting demand? Or did it have orders from the White House to exercise some brinksmanship as a Democrat ally the in the larger partisan budget battle? Don't forget the show tonight (July 21)! And it looks like we've finally licked the problem on the call-in line. Or access the show stream directly by clicking here. Just seeing the Stars and Stripes causes voters - even Democrats - to be more likely to vote Republican. "Psychological scientists Travis Carter (University of Chicago, Center for Decision Research), Melissa Ferguson (Cornell University), and Ran Hassin (Hebrew University) challenge the notion that subtle cues in the environment can’t (or don’t) significantly alter people’s political judgments in their article “A Single Exposure to the American Flag Shifts Support Toward Republicanism up to 8 Months Later.'" Does this precinct sign instill voter bias? Why would the flag increase the likelihood someone would vote Republican? Is it as simple as people perceive Republicans are more in line with the values and traditions most associated with America and its flag? Two more striking examples displaying America's government and cultural shift since the 1940s can be found in federal artwork from the World War II era. During the war, government posters championed God as our country's protector, and portrayed belief in God as a source of strength for patriots defending us. Our nation's enemies were cast as threats to our Judeo-Christian religious practice and heritage. These World War II posters may be a real shocker to those who blindly accepted our contemporary culture's spin on separation of church and state. Government has not always tried to ban religion from the public square. Less than 70 years ago, belief in God (in a non-sectarian way) was extolled in government art. It's amazing how our societal outlook has changed over the past 60-some years. 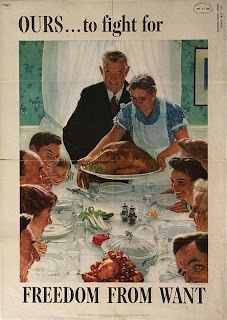 Few if any Americans likely looked at this poster in 1943 and saw it as a pitch for free food or housing. It was a patriotic message to rally a war effort, and secure future freedom for individuals to pursue the bountiful blessings to be found in our great land. Today, many would immediately interpret it as an endorsement for programs like food stamps (recently renamed SNAP), housing subsidies, and other so-called entitlements. The poster is just another reminder how much we've changed. It's just the change happened so gradually, no one really noticed. Taxing ammunition at a dollar a round. Otis Rolley, a candidate for Mayor in Baltimore, is proposing just that. purchase new guns and they can be borrowed or even rented in some areas. The proposal apparently assumes people in Baltimore have no means to escape city limits to buy ammo. Sounds to me like Rolley and his campaign are merely pandering for financial support from gun control proponents. Maybe he's not even looking for money, just trying to gain a little campaign buzz. Whatever the case, it's a loser's proposal that simply pitches gun control through a back door for law abiding citizens. And reflects that many in government, or aspiring to be there, put no limits on at how high a level they're willing to tax. A $50 tax on a box of 22 Long Rifle ammo that now sells for about $2.99? Gimme a break. There's a poster on the wall of the TalkSouthRadio studio. It's an oldie from World War II. We don't think much about buying bonds these days. We've given up trying to carry our own debt, and turned the job over to the Chinese. The kid in the poster would probably be about 70 by now. But her image still stands as a reminder that what we do today will determine what kind of America we leave for the next generations. Will we remain true to the ideals of liberty and freedom her parents' generation sacrificed to preserve? This guy makes me believe the right is finally on the offensive. I'm not a big fan of cable news political shouting matches, but I did enjoy today's round between Congressman Joe Walsh (R-IL) and Chris Matthews on MSNBC. Sure, short term, the GOP may sell out Walsh and his idealistic fellow congressional freshmen. RINOs on the senate's Gang of Six (including Georgia's Saxby Chambliss) made big news today with their proposed kick-the-can/tax hike/debt deal compromise with Democrats. Even so, the future looks brighter with new guys like Walsh shaking things up in DC. I've seen this floating around the Internet in vavious places. "When you see that in order to produce, you need to obtain permission from men who produce nothing - when you see that money is flowing to those who deal not in goods, but in favors - when you see that men get rich more easily by graft and by pull than by work, and your laws no longer protect you against them, but protect them against you - when you see corruption being rewarded and honesty becominga self-sacrifice - you may know that your society is doomed." Do we take enough time to see and interpret the signs around us? How many remain oblivious to current circumstances because change came upon us with a slow creep? The 'fundamental transformation of America' promised by Barack Obama seems to have stalled. And the left is lashing out at the Tea Party for it. Republicans in the House push a Balanced Budget Amendment. Is this serious? My cynical side says it's just another symbolic effort to energize 2012 congressional campaigns - and to give some cover if the GOP caves on more immediate deficit issues. New gear has arrived. We should be back to talking calls this week. Below is a copy of the text of the letters. Click here for a copy of the signed letter to the DEA administrator and the signed letter to the FBI director. A smoking gun in Fast and Furious? Senator Chuck Grassley and Rep. Darrell Issa take things up a notch in their Gunwalker investigation. WASHINGTON, D.C. – Oversight and Government Reform Committee Chairman Darrell Issa and Senate Judiciary Committee Ranking Member Chuck Grassley today pressed Attorney General Eric Holder about the Justice Department’s unsatisfactory responses and lack of cooperation with an investigation into the highly controversial Operation Fast and Furious. A letter sent by the two lead investigators highlighted testimony indicating internal disputes within the Justice Department and a statement from the Director of the Bureau of Alcohol, Tobacco, Firearms, and Explosives (ATF) that the Justice Department is attempting to protect its political appointees. “It was very frustrating to all of us, and it appears thoroughly to us that the Department is really trying to figure out a way to push the information away from their political appointees at the Department,” ATF Acting Director Kenneth Melson said of his frustration with the Justice Department’s response to the investigation in a transcribed interview. Click herefor Rep. Issa and Sen. Grassley’s letter to Attorney General Holder. Martin Weiss expands on last week's Weiss Ratings downgrade of US debt. In his free daily financial e-newsletter, Money and Markets, Weiss offers his thoughts on how government debt may impact individuals' investment portfolios. I'm not endorsing Weiss' pitch for his paid services contained in his freebie letter, but I think there's enough meat in the free content to warrant at least a quick scan. Today's (July 18) edition can be found here. For years, I've had the Weiss freebie delivered daily to my email. And I've learned a lot from it. Weiss was among the first to warn of a coming real estate crash. Check out this posting from 2005: Housing Market Bust. How many others put out so clear a warning so far in advance? Martin Weiss is what some might call a perma-bear. But that doesn't mean he's wrong. Weiss doesn't buy the myth that US sovereign debt should be rated AAA. Weiss thinks a C- is more in order. JUPITER, Florida (July 15, 2011) — Weiss Ratings, an independent rating agency of U.S. financial institutions and sovereign debts, has downgraded the debt of the United States government from C to C-minus. The C-minus rating for the U.S. reflects a continued deterioration in the weaknesses cited in the Weiss Ratings release of April 28, 2011, including heavy debt burdens, shaky international stability, and poor economic health. On the Weiss Ratings scale, which ranges from A (excellent) to E (very weak), a C-minus rating is the approximate equivalent of a triple-B-minus on the scales used by other credit rating agencies, or approximately one notch above speculative grade (junk). Friday's full release from Weiss Ratings is available here. I just saw this listing for a 2 bedroom/one bath house in zip code 30035. It was priced at $13,000 last week. This weekend, HUD dropped it to just $8,000. County records show the same house sold for $42,400 in 1994. DeKalb County's most recent tax assessment put its value at $35,280. Whoever buys it will pay 2011 taxes based on the county's $35k estimate. 50 for 50. It sounds like a pitch for compromise. An attempt to find common ground in reaching a bipartisan deal on the debt ceiling. If that's your guess, you're wrong. CHALLENGE: Bring 50 new people into this campaign in time for the President's 50th birthday. Choose one or any combination of the organizing activities below—we'll track your progress for you after you register. Once you get to 50, you'll automatically be given a chance to be one of four supporters who will join the President for a birthday celebration in Chicago next month. For a complete list of ways to enter and full details, click here. All prizes are awarded "AS IS" and WITHOUT WARRANTY OF ANY KIND, express or implied (including, without limitation, any implied warranty of merchantability or fitness for a particular purpose). Candidates are like this sweepstakes. They come without warranty. They often promise one thing, while delivering another when elected. I'm especially wary of a candidate with a campaign built on a sweepstakes attitude, rather than presentation of a clear platform and honest voter education. Obama's birthday bash (and a campaign sweepstakes built around it) seems sorely out of place as the president repeatedly calls for shared sacrifice by the rest of us. I'm more than a little cynical when it comes to a president planning his own birthday bash scheduled at the same time he warns social security checks may not go out. The debate over federal debt has been with us a long time. In 1986, WR Grace & Co. produced a commercial with a sci-fi futuristic warning. The networks refused to air it. "Only in Washington is a debt increase negotiated between two groups of borrowers. "Actually, it's more accurate to call them two groups of spenders." Ever read Day By Day? Chris Muir puts out a daily strip at DaybyDayCartoon.com. The president had another news conference today over debt deal negotiations. Nothing really new in his disclosures. It was primarily used to reinforce familiar themes. Stuff like making the rich should pay more in taxes, cheap shots at corporate jets, and an occasional reference to Win the Future. The same old same old. Politicians have always relied on repetition. Some more than others. Propaganda may tickle the ears. But it can easily be used to lead a nation down the wrong path. What a politician wants you to hear may be very different from where he intends to lead you. Obama's 2008 Hope and Change wasn't so much a promise as it was a masterful execution of political propaganda. But his latest attempts are falling far short. We grow tired of more spin being shoveled at us while, at the same time, we see the country sliding deeper into decline. "Debt is not universally interpreted as a sign of failure on the part of government planners. On the contrary, it becomes a weapon used to demand more taxes." The thought comes from John Hayward who expands on the idea at Human Events. Hayward sees things long hidden to many of us by our prejudice of patriotism and our long-ingrained beliefs in the America we grew up in. We've taken too much for granted for too long. Our trust in government has been exploited by people President Obama calls professionals. It's time to shake off our blinders, and get past any lingering assumptions about good or honest government. It makes perfect sense that many in government now see debt by design as a means to extort resources to grow even bigger government. If this is the case, governments (local, state and national) will continue to outspend their revenues only to demand taxpayers cough up cash for another emergency fix. Let's take a cue from history: Appeasement doesn't work. It's time we demand our elected leaders return to Lincoln's ideal of government of the people, by the people and for the people. Despite what self-proclaimed professionals tell us, good government requires citizen participation to ensure it does not perish from this earth. Opposition voices grow stronger in DC. The ATF Gunwalker probe gets bigger. Disclosures last week that guns may have been walked through Tampa's ATF office to offshore locations like Honduras brings additional members of Congress seeking answers. Congressman Gus Bilirakis (R-FL) and two others have fired off letters to Attorney General Eric Holder, Acting ATF Director Ken Melson, and ICE Director John Morton. Washington, DC (July 13, 2011) – Rep. Gus Bilirakis (FL-09), a member of the House Homeland Security Committee, is demanding answers from Attorney General Eric Holder about reports that the Department of Justice and the Bureau of Alcohol, Tobacco, Firearms and Explosives (ATF) have purposely allowed firearms to pass into the possession of criminals and other dangerous third party organizations. "I find it very troubling that the United States government would willfully allow weapons to be acquired by dangerous criminal and drug trafficking organizations, thus compromising our strategic and national interests," Bilirakis said. "This appears to be an extremely misguided effort by the ATF and DOJ and I hope that we do not allow such flawed programs to continue to threaten the safety of the United States." On Tuesday, Bilirakis sent a letter to Holder and ATF Acting Director Kenneth E. Melson seeking further explanation about "Operation Fast and Furious" and "Operation Castaway." On Wednesday, he sent a letter to Immigrations and Customs Enforcement Director John Morton demanding answers regarding ICE's involvement in the operations. The letter was co-signed by Reps. Michael McCaul (TX), Chairman of the Subcommittee on Oversight, Investigations, and Management, and Candice Miller (MI), Chairwoman of the Subcommittee on Border and Maritime Security. Two weapons found at the scene of the murder of U.S. Border Patrol Agent Brian Terry were traced back to the ATF's "Operation Fast and Furious," and reports now indicate that ATF's Tampa Field Division trafficked as many as 1,000 firearms to the dangerous MS-13 gang in Honduras through a similar program known as "Operation Castaway." Read the letter to Attorney General Holder and Acting Director Melson by clicking here. Read the letter to Director Morton by clicking here. Obama tells us to get our noses out of government affairs. He comes right out to our faces and says we're not as bright as government elites. Obama expresses an ideology that's a complete one-eighty from what the founding fathers intended. Government's grasp of control isn't just about government anymore. It's trickled down to our most simple personal choices. Obama's energy secretary, Stephen Chu, makes it clear. We'll have a recap. Tactics are different, but I suspect Obama may fancy himself as an American Castro: Father of a centrally planned US socialist revolution. Do you think it's true? Possible? Or should they hang my mugshot next to Joe McCarthy's in some hall of infamy? Meanwhile, government and the Fed run out of excuses for why there's no economic rebound. Bernanke suggests some "untested" remedies may be necessary. Translated, he's saying they've lost control. The Keynesian steps taken early have bled our resources, and there's little left to counter the next leg down. That's my top hits topic list. Leave a comment, drop a line or give us a call if you have others. We hope to have some replacement gear arrive in the morning in advance of Thursday night's show. If it does, and it checks out, we'll be back to taking live callers at 8:00pm EDT. We'll keep you posted. U.S. backed dissidents raise havoc in Havana. No... wait... they're ZOMBIES! Juan of the Dead is billed as Cuba's first horror flick. It looks a lot like Zombieland, but with a socialist twist. The idea of “Juan” simple came from watching the reality around me. That reality is Cuba, so one day inevitably, I was asking myself if we were so different from film zombies. Besides that, Cuba is a country that has been preparing itself for a confrontation with the United States during the last 50 years. So, what if instead of that, have to confront zombies? DeKalb commissioners today voted to raise the county property tax rates. AJC.com reports it's a 26 percent hike. Property owners in hard hit neighborhoods desperately needed relief that would have come from lower assessments they received earlier this year. Today's move eliminates or greatly reduces those breaks. But the impact may be largest in neighborhoods that haven't yet had severe blows. For homeowners who didn't get a lower assessment, their tax bills just got jacked up by 26 percent. How many of them are struggling? How many of them will be nudged into foreclosure by this? This is a whopper of a tax hike. Enough to scare potential home buyers who will now scratch DeKalb off their shopping list. Businesses may have to lay off workers to cover their higher tax bill. It may take time to see the results, but today's short sighted action will likely trigger yet another leg down in struggling DeKalb. At Monday's press conference, President Obama championed a higher debt ceiling. Mr. Obama says Americans simply don't understand the complex issues of government. His comment came after a question from a reporter. Q: The latest CBS News poll showed that only 24 percent of Americans said you should raise the debt limit to avoid an economic catastrophe. There are still 69 percent who oppose raising the debt limit. So isn’t the problem that you and others have failed to convince the American people that we have a crisis here, and how are you going to change that? The comment by the president had a familiar ring. I grow tired of today's crisis driven American government. It's a government that grows more out of touch as it kicks the can down the road. What politicians have done in recent history is to create a American government that lives beyond its means by incurring debt, in part, to buy influence with constituents. And as it grows, government and its bureaucracies become ever more detached from the people it purports to represent. Today, our politicians may champion their complicated model, but even simple voters can see it's a model that's unsustainable. Meyer's book shows just one example. We have history to show us what happens when politicians are left to assemble their overly complicated governments and bureaucracies. We must stop ours, and insist on accountability, while we still have the ability. Back in January, I took posted a paragraph of Patrick Henry's Liberty or Death speech. I took a few slight liberties with my post, substituting references to the federal debt where Henry has referenced the king and crown. The Bible teaches the borrower is slave to the lender. It's time our county began to shake loose the chains of servitude and restored itself as a free nation. To raise the debt ceiling, and incur more debt, only tightens the chains that bind us. President Obama has us talking about peas rather than debt reduction. If this was some kind of ploy to distract us, it seems to have worked short-term. Among the vegetables in Thomas Jefferson's garden was the English pea, considered to be his favorite. He grew fifteen types of the English pea, and his frequent jottings on the vegetable in his Garden Book suggest that he paid particular attention to it, happily noting when "peas come to table." By staggering the planting of peas, Jefferson was able to eat them fresh from the garden from the middle of May to the middle of July. The full survey is available here in pdf format. The American Federation of State, County and Municipal Employees has a job opening in Atlanta for an office assistant. Salary range: $29,869 to $50,287 for someone to answer phones, keep petty cash, and do other typical office duties. Plenty more jobs with similar high salaries are posted at the link provided above. While theatrics over debt talks in Washington dominate media headlines in the U.S., financial troubles continue to develop elsewhere. For instance, Italian banks hit a rough patch on Friday. And contagion fears in Europe are on the rise. I also saw over the weekend the head of the IMF calls on the U.S. to raise its debt ceiling. The IMF grows concerned what will happen if the U.S. won't incur more debt for the sake of at least some appearance of international economic stability. But from what I can tell, the IMF has yet to express concern for U.S. citizens who will be on the hook to repay existing debt, let alone additional amounts to be incurred if the debt ceiling is bumped up. Obama plans a press conference. Obama reportedly wants a debt reduction deal done in ten days. So what's his plan to get it done? Smile for the cameras. The president will hold yet another press conference Monday morning. It's in the playbook. Community organizers love to hold press conferences. It's clear to most of us government is in over its head. Democrats and Republicans alike promised too much, delivered more than government could afford, and what government delivered wasn't been done especially well. Now that we see the big government model is flawed, you'd think the ones holding power might try to fix things. Naw. That would require hard decisions. Might make someone unhappy. Cost a vote here or there. So, the theater of politics gives us another play. The elected and their appointees give us a dance around the issues of taxation and budget cuts. At the end of the play, they're probably still racking up more debt that they're cutting. What's the plan when the can hits a wall? Or goes over a cliff. Sooner or later, without major intervention, it's going to happen. Have you given any thought what it might mean for you and your family when it does? If you knew a hurricane or a swarm of tornadoes was heading your way, you would take appropriate action. An economic storm warning requires similar due diligence. Forget the left's class war rhetoric. We live in a country with a government paid for by rich people. 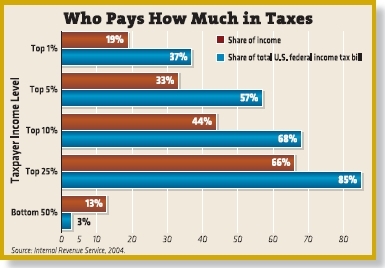 In 2007, the Journal of the American Enterprise Institute ran a story they titled Guess Who Really Pays the Taxes. Here's one of the charts that accompanied the report. It's built from IRS stats released in 2004. Things may have changed a little, but probably not all that much. The LA Times recently ran a lengthy profile of Republican Herman Cain and his presidential campaign. The Times describes Cain as a candidate who banks on his common sense. If the LA Times has no problem finding news value in Cain's presidential bid, why do so many others in the media still exclude him from their coverage and other discussions? Opponents of Georgia's HB87 vowed to rally at the state capitol again today. And apparently they did. According to AJC.com, more than five tour buses delivered protesters to the capitol steps for rally that lasted "nearly" an hour. That seems like a lot of buses for an hour event. Maybe they had other plans to round out the afternoon. Lunch. Six Flags. Maybe the aquarium. I have no idea where demonstrators went after their rally. Maybe they just went home. I do know not a soul was left when I cruised past the capitol around half past one. The rally had been promoted in advance as running from noon til 3:00pm. "Sweet Tweets Can't Disguise 14,100,000 Unemployed Americans"
Obama Tweets. Should we be impressed? Barack Obama proclaimed Thursday he's the first president to "live Tweet." A presidential seal not only adorned his podium, but his laptop as well as he took questions - and tried to frame replies - in Twitter's 140 character format. An adoring room full of spectators whipped out camera phones and zapped multiple images to capture this historic event. With the serious issues threatening our nation, it's nice the White House makes obvious effort to show it still has time and energy to pitch circus-like distractions like (gasp) live Tweets to keep our focus off the important stuff. Today marks the 800th day that the Senate Democrats last thought the federal government needed a budget—to put this in perspective, it took 404 days to write, approve and ratify our U.S. Constitution; and only 633 days to accumulate over $3 trillion in new debt under the Obama Administration. Now, our nation is hanging on the brink of a full-blown debt crisis. It is time to clear out the mess of over regulation that’s inhibiting our economic growth and foster an environment that will make small business and entrepreneurship thrive. Time is running out and I urge the Senate to join the House in passing a budget measure that will ensure that America pays its bills by cutting spending and removing federal barriers so that Americans can get back to work. I like what he's saying. But elected Republicans must get beyond just articulating what they believe. We hear a lot of promising rhetoric out of DC. And we see a lot of symbolic votes. What we need now is a Republican Party that's got the will and creativity to actually rollback some of the Democrat's economy wrecking madness. Actions speak louder than words. And there's a bunch of conservative voters who grow increasingly impatient for real action.